In Toronto, the weather transitions from warm to cold during the Fall. One of the articles in this issue discusses the effect of the Harmattan season, which is another transition period for weather in Nigeria. During the Harmattan season, the winds are dry and pick up dust. 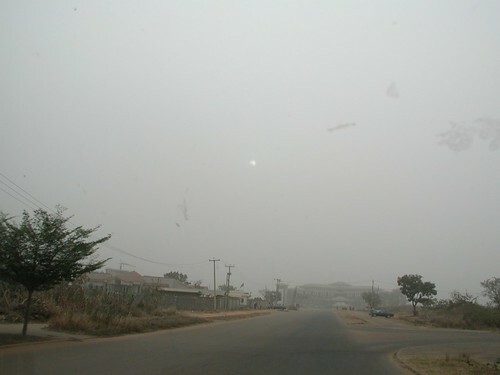 One article in this issue, "Effect of road transport stress on Erthrocyte Osmotic Fragility (EOF) of healthy young adult Nigerians during the harmattan season", by Olorunshola et al., examines 23 young Nigerian males during the Harmattan season and after they've been affected by road transportation. The blood was collected from the subjects after overnight fasts and within 10 minutes after the subjects were transported at a speed of 65-75 km/h and a distance of 180 km. The results showed that transportation was stressful to the subjects and that erythrocyte osmotic fragility (EOF) could be used to measure the stress in humans. A review article included in this issue, "Rising environmental cadmium levels in developing countries: Threat to genome stability and health", by Anetor, is on the element Cadmium (Cd) and its effect on the environment. Cadmium is increasingly becoming known as an environment pollutant, associated with bone disease and emphysema among others. There is evidence that Cadmium may disrupt genomic processes and inhibits DNA repair mechanisms.